Representing YOUR Product to the National Market! Access Companies has numerous independent representatives positioned nationally. to some of the largest chains and corporate customers in America and Canada. This is a major focus of Access Companies and is how we serve the majority of companies we work with. What this means for a manufacturer, is the ability to have their products represented nationally by one representative group. Over the years our distribution channels have broadened to include mass merchant, hardware and specialty retailers. This allows the manufacturer to have Access Companies as a single point of contact for all of their product representation, saving time and money. In some cases Access Companies will act as a distributor for certain manufactures. This primarily occurs when Access Companies has a vendor relationship established with a retailer and the retailer is not adding new vendors. When this is the case the retailer will request that the product is brought in to them under the Access Companies vendor number. The Retailers purchase order will be made out to Access Companies. In turn Access Companies will send their purchase order to the manufacturer. Day and Father’s Day t-shirts. Access Companies sometimes acts as a manufacturer for entrepreneurs who develop a product and marketing plan but lack the financial and marketing resources to implement the plan. In this circumstance a license/royalty agreement is made between Access Companies and the Entrepreneur. Call Us to Represent YOU Today! and want to expand distribution nationally. 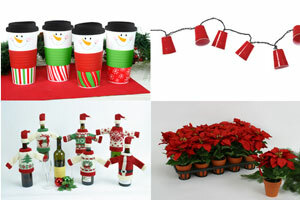 We specialize primarily in placing seasonal and promotional, and impulse products. Our main channels of distribution expertise are in grocery, drug, Cstore market and mass merchants.